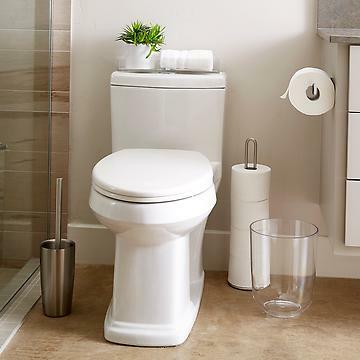 Whether you need to organize a family bathroom or furnish a guest bath, The Container Store has the bathroom accessories and storage to help. Our buyers have amassed an impressive selection of bathroom storage for every style and task. So you'll find not merely one shower caddy, but a wide selection to fit large and small spaces. 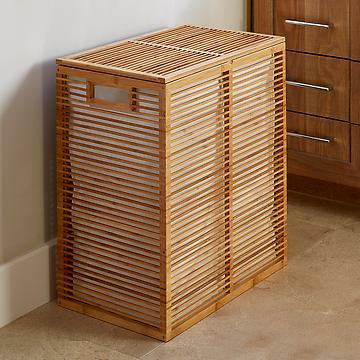 Choose from wastebaskets, hampers and bathroom storage with on-trend details to complement your decor. Bathroom storage ideas include makeup organizers, drawer organizers and bathroom storage options that help utilize every inch on a countertop or under a sink. 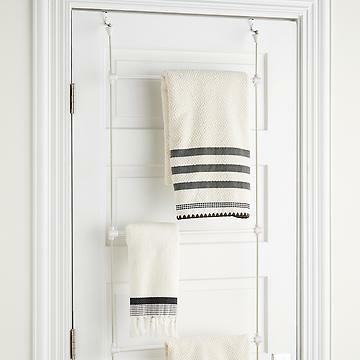 With form, function and a sense of fashion, this is bathroom organization you don't have to hide. And, of course, if you're traveling, you can shop our collection of makeup bags and toiletry cases, and TSA-sized bottles. 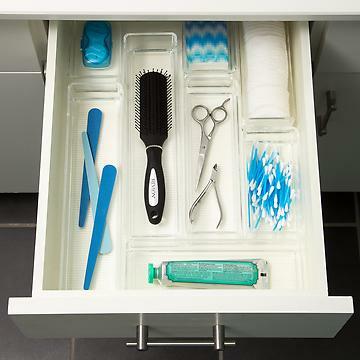 Keep your bathroom organized and everything in its place with The Container Store's selection of great bathroom storage and organizers.